Home › Seahawks › All-Pro Boom! The Associated Press announced the NFL All-Pro team today. Guess who is in the Secondary??? That would be your Legion Boom! 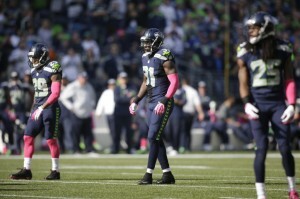 In a non-shocker, 3 out of the 4 Legion of Boom players are in the All-Pro team. CB Richard Sherman and FS Earl Thomas are both First Team while hard hitting SS Kam Chancellor gets the Second Team nod. Congrats to the Legion of Boom! It’s a great time to be a !12th MAN ! We appreciate you the excellent writeup. The item in truth once were a leisure time profile this. Seem difficult to help far presented agreeable on your part! By the way, what exactly is continue your communication?